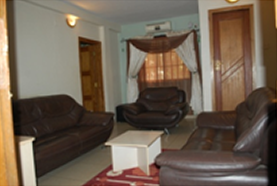 After a long journey or a busy day at conferences or event, it is nice to know that you have a place like Dannic Hotels Abuja to retire to one of our stylish, yet comfortable en suite bedrooms. We have 33 en suite bedrooms for you to choose from, all modern, spacious and stylish.All our room include those little finishing touches to make your stay more enjoyable. 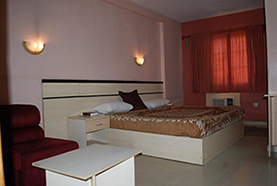 Our Standard Rooms are elegantly decorated in relaxing and delicate shades. It includes Queen size bed, air-conditioning; satellite TV, Wi-Fi, functional desk with a chair, shower, intercom and refrigerator. 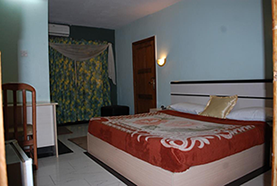 Our Delux Rooms which are decorated with classic furniture include Queen size bed, air-conditioning; satellite TV, Wi-Fi, functional desk with a chair, shower, intercom and refrigerator. In addition to all the amenities in our Delux room, Enjoy a larger Room with Queen size bed and a bathtub in one of our Superior Delux Room. 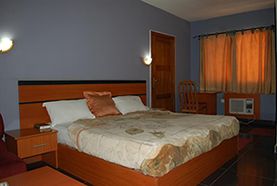 Our spacious, stylish and modern Galaxy rooms include Queen size bed, air-conditioning; satellite TV, Wi-Fi, occasional chair, functional desk, refrigerator intercom and shower. 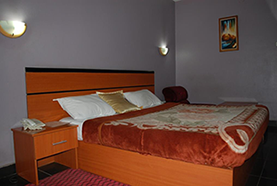 In addition to all the amenities in our Galaxy Room, Enjoy a larger Room with King size bed and a bathtub, in one of our Superior Galaxy Room. Need a little more space and privacy? Our Royal Suite has all the amenities of a Galaxy Room but also feature a separate living room with sofa chair, functional desk and a bedroom with king Size bed and a bathtub. Need a little more space and privacy? Our luxurious Victorian suite have all the amenities of a Royal suite but also features 2 separate toilets , separate shower room and a bathtub. 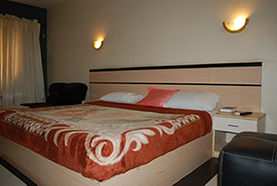 Policy about room rates subject to change without notice.